Claims for injuries sustained by people falling on unsafe surfaces are big business. A quick Google search for “slipping claims” results in page after page of law firms touting their ability to win compensation for complainants. Local government’s exposure to slip, trip and fall injury risks is off the charts. The sheer amount and type of slip-susceptible surfaces under each Council’s care is mind-boggling. Swimming pools and sporting facilities, footpaths, as well as public buildings and toilets, present innumerable possibilities for accidents and injuries to both staff and the public. 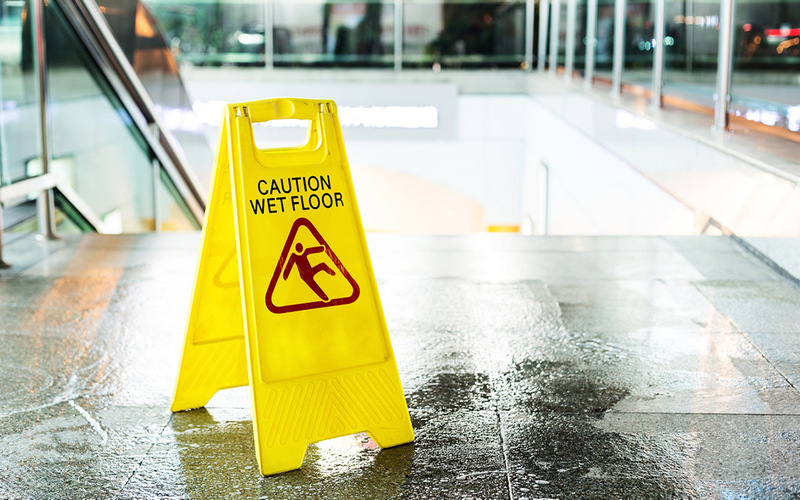 In fact, slip, trip and falls are the most common cause for liability claims in local government, representing a cost of over $5 million per year. The good news is that there’s a lot Members can do to mitigate slipping risks in their communities. other factors, such as the presence of handrails and the quality of lighting. Members owe a duty of care to the public and their staff to ensure all areas are safe, secure and regularly maintained. Ensure new surfaces meet minimum Australian standards requirements of slip resistance. Maintain a robust maintenance and cleaning process – including cleaning up spills immediately. Replace any blown light globes and provide adequate lighting for all high-traffic areas. Include and highlight acceptable footwear specifics within dress codes. Develop a risk management plan which identifies, assesses, controls and monitors slip hazards. Remove tripping hazards from walkways – ensure adequate storage is provided. Highlight step edges and transition areas, such as changes in elevations and flooring materials. Aside from the above, Council may also consider undertaking slip resistance testing. Do the surfaces meet the minimum Australian standard requirements as per the Standards Australia Handbook ‘SA HB 198: 2014 Guide to the specification and testing of slip resistance of pedestrian surfaces’? Do the surfaces meet the minimum requirements of the National Construction Code (NCC)? Is the flooring product fit for its intended use? If not, what can be done to rectify the situation? Has everything been done to minimise risk of slip, trip or fall incidents while prudently demonstrating Council’s duty of care obligations? Advanced Technology and Testing Research (ATTAR), a National Association of Testing Authorities accredited flooring consultant, has approached Statewide Mutual to provide Members with slip resistance testing. ATTAR employs a five-step process to empower Members to identify slipping hazards and mitigate risks that can lead to public liability claims. On-site survey to determine a practical slip testing monitoring program. Based on a Member’s requirements and ATTAR’s experience and expertise. Product testing is undertaken to ensure compliance with regulatory requirements in accordance with ‘AS 4663-2013 Slip resistance measurement of existing pedestrian surfaces’.ATTAR reviews test results against the requirements of the National Construction Codes Standards Australia Handbook HB198. They comprehensively report results to assist with client’s risk assessment and mitigation processes. existing cleaning regimes and chemical surface treatments. Once hazards are identified, ATTAR determines the best means of eliminating or controlling the risk. They provide design and maintenance advice and slip resistance/compliance data for new surfaces, or independent rectification advice for non-compliant existing surfaces. As flooring will deteriorate over time, monitoring and regular testing are required. This is to ensure slipping risks remain known and a responsible risk management plan is maintained.Ongoing in-situ test results are conducted by a qualified engineer and reviewed against ATTAR’s risk assessment to ensure compliance. Please contact your Regional Risk Manager if you’d like to know more about slip resistance testing. They can put you in contact with ATTAR.